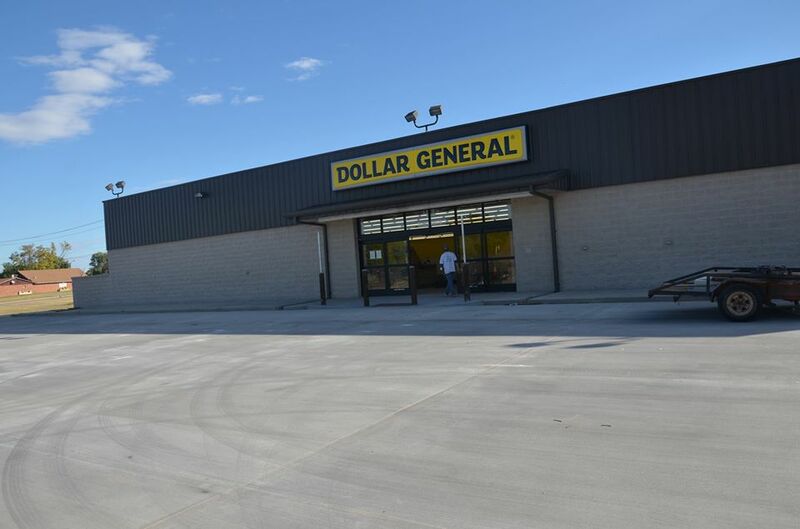 MEI provides primary engineering services to Dollar Generals in several states. Currently, we have 12 DG’s that are either under construction or completed in locations throughout Oklahoma, ranging from small towns, like Enid, to big cities, like Oklahoma City. “The DGs in smaller towns have helped to anchor the community, allowing citizens to shop locally instead of driving long distances to shop in larger cities,” said Jay Maupin of Maupin Engineering. “The DG in Enid was an infill project on a small lot,” Mr Maupin said. “As a result of the lot size, we had to be creative with layout and truck access.” The store size is 9,100 sf on a 0.88-acre site with 7′ of fall across the length. The clients and the engineer are pleased with the results. Resulting store sales have shown that the citizens of Enid are pleased as well.